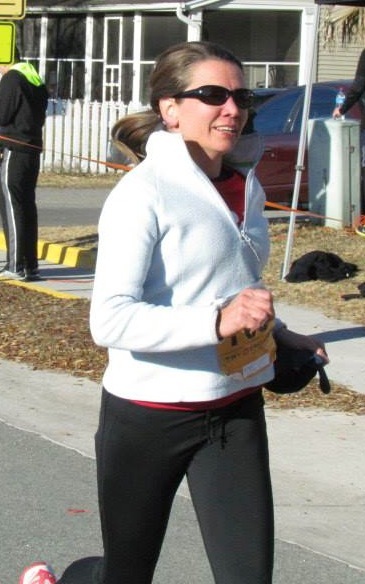 Another one of our Bridge Run training participants who is gearing up to get over that bridge this weekend…Annie Herring! We're so proud of the progress she's made from our 5K training program through the 10K program. And we're so happy to call her part of the Fleet Feet family and part of the Fleet Feet movement! Occupation: Homemaker, mother, domestic engineer! How are you involved with Fleet Feet? : I’m participating in the Bridge Run Training coached by Anni Tuten. When did you start running and why? : I started on my own about 5 years ago with a Couch-to-5K program. I had trouble staying motivated on my own though. I wanted to make an improvement in my overall heath and activity level, but just found it hard to make myself get out the door. 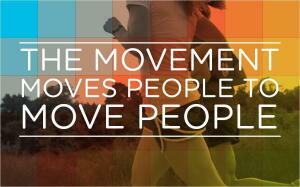 What’s your motivation for staying active? : I can find 101 reasons not to run, if it’s up to only me. The great thing about Fleet Feet is you have a set time and place and friends waiting to run with you! So in a nutshell, Fleet Feet provides my motivation. What’s your favorite thing about running? : The sense of accomplishment at the end, certainly, but also just the simple joy of covering ground! Why did you decide to join the Bridge Run training group? : I had just completed the No Boundaries Program with Fleet Feet, and Bridge Run Training seemed like a natural next step. Also, in years past, I have run the Bridge Run without preparing for it and that was no fun at all. What hurdle are you the proudest of overcoming? : Inertia. Gear you can’t live without? : Without a doubt my Sweaty Band! Keeps even the unruliest of bangs out of your eyes! Hopes for race day? : Not to feel too nervous and to have some stamina on Meeting and King Streets. That’s the hardest part of the Bridge Run for me…even harder than the climb! Goals for the future? : I’m beginning to think about a half marathon. Never in my wildest dreams did I ever think I would run that far, but I’m starting to entertain the idea. Favorite thing about Fleet Feet or their training groups? : The support from other people who love running! And making new friends with similar goals and lifestyles. Best Bridge Run advice: Enjoy the view and the fresh air at the top! And don’t forget to stretch at Marion Square! And most of all, HAVE FUN!